Due to its geographical and climatic diversity, Chile features a wide range of landscapes and stunning places to visit and explore. Here is a list of the most popular tourist sites in Chile, the order is random. Torres del Paine Park, Region of Magallanes, Patagonia. Patagonia is the geographical region located in the southernmost tip of South America, comprising territories of both Argentina and Chile. The Chilean Patagonia includes the Regions of Magallanes, Aysen and the southern part of Los Lagos Region in the mainland. The landscape is characterized by a dispersed geography, consisting of dozens of islands, rivers, lakes, mountains, ice fields, and so on. As there is no official border but only imaginary, it is considered that Patagonia (Chilean side) starts from the Gulf of Corcovado by the North to the Cape Horn, and from the Pacific Ocean in the West to the border with Argentina on the East. The Chilean Patagonia can be reached by land, air or sea, but there is not a main highway that join it as a whole between the regions of Magallanes and Aysen. There is a variety of climates, from the temperate climate of the North to the Sub Antarctic climate of the Cape Horn zone, and from a rainy weather in the Western areas to the Eastern semi- arid climate. In the Torres del Paine National Park there is a microclimate where summer temperatures can rise to 25 ° C. or more. The high tourist season runs from October to March, and in more recent years efforts have been made to promote a Winter tourism, taking advantage of the climatic features of the South American southern cone. The main cities and places of Chilean Patagonia are Punta Arenas, on the shores of the Strait of Magellan, with a rich history and one of the main gateways to the Antarctic Continent; Puerto Natales, also in the Region of Magallanes, second tourist destinations in Chile, point of departure to visit Torres del Paine National Park, the Eighth Wonder of the World, besides with an environment that offers many other natural attractions for example, the navigation to Balmaceda and Serrano Glaciers through the Ultima Esperanza Fjord; Porvenir at Tierra del Fuego, an Island shared with Argentina, whose Chilean side also has a huge but hitherto little known and unexploited tourist potential; Puerto Williams, the southernmost town in the World, near the tourist city of Ushuaia in Argentina, 12 hours navigation from Cape Horn; Puerto Chacabuco, small but the main port of the Region of Aysen, since here arrive ships from Puerto Montt (Region de los Lagos) and from Punta Arenas. 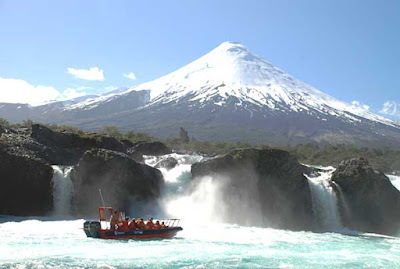 Touristically Chacabuco is of great importance since from here leave the boats that make the tourist circuit to Laguna San Rafael, one of the most famous and visited Chilean Glaciers. Puerto Chacabuco is also the starting point to explore by land many other attractions of the Region of Aysen, where much of the landscape is outstanding, for this reason its main road, the Carretera Austral has consolidated as one of the best scenic routes in the World. Other important towns are Coyhaique, capital of the Region of Aysen, Puerto Aysen, the second largest regional urban center, Chile Chico, border town on the shores of Lake General Carrera, Puerto Cisnes, another paradise for nature lovers. One of the most popular ways to get to know the Chilean Patagonia is with the Cargo- Passenger ships of the regional company "Navimag", which link the three southernmost regions of Chile. The duration of the trip is 4 days and the departures are alternately either from Puerto Montt heading south to Puerto Natales or vice versa. The scenery is spectacular and the journey a great experience. From May 2016, once a week, the regional navigation company "Tabsa" is also connecting the beautiful Regions of Aysen and Magallanes on a 41 hours voyage on board one of its comfortable ferries. The 415 nautical mile crossing connects the towns of Puerto Yungay, with stops in Caleta Tortel, Puerto Eden and ending in Puerto Natales. Another prestigious regional cruise company is "Cruceros Australis", whose travel season begins in September to end in April next year. This company is an expert in trips around Tierra del Fuego and southern Patagonia, departing either from Punta Arenas, in Chile or from Ushuaia, Argentina. San Pedro de Atacama, is an ancient town located in the Atacama Desert, 1670 km. North of Santiago de Chile and 102 km. SE of the mining city of Calama. San Pedro stands out as an area of great tourist and archaeological interest so in recent decades, the town and all its surroundings have become one of the major travel destinations in Chile. Among the most attractive tourist places in and near San Pedro de Atacama can be highlighted the Museo Arqueologico Padre Gustavo Le Paige (Father Gustavo Le Paige Archaeological Museum), thus called in honor of the Jesuit missionary who was its founder. Although currently closed for remodeling, this institution is an icon within the town to get to know the pre-Columbian cultures of northern Chile. The museum keeps a huge collection of artifacts (about 380,000 pieces) belonging to the pre- Columbian Atacameña culture. Address: 380 Gustavo Le Paige St., San Pedro de Atacama. 98 km. North of San Pedro de Atacama and 4,200 meters above sea level is located El Tatio Geyser Field, one of the main tourist attractions of Northern Chile, with about 80 active jets that rank it as the largest Valley of Geysers in the Southern Hemisphere and the third in the World. The best hour to see the spectacle of the steam plumes is between 6:00 and 7:00 am. so the tours depart from San Pedro de Atacama about 5:00 am. to appreciate the magnificent views early in the morning. Termas de Puritama (Puritama Hot Springs), these pools of thermal water are located 28 km. North of San Pedro, 3,500 mts. above sea level. Since ancient times, these thermal waters have been used for medicinal purpose by the Atacameño people. Currently part of the thermal baths are owned by the Hotel Explora, which together with the Council of Atacaman Peoples are responsible for the maintenance of the place. Very close to San Pedro is located the Salar de Atacama (Atacama Salt Flat), covering an area of 100 km. long by 80 km. wide which makes it the World's third largest. The salt flat owns 25% of World reserves of lithium plus numerous other minerals, but despite that, this lake offers a view that enchants excursionists. The area is part of "Los Flamencos National Reserve" and many visitors come here attracted by the spectacle offered by these stylized birds (Flamingos) whose habitat are the water eyes of the salt lake. 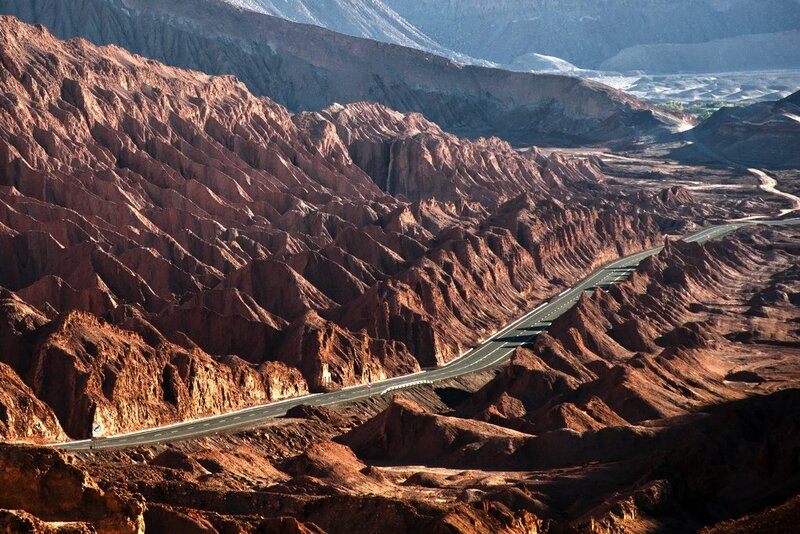 Another of the most visited places in San Pedro de Atacama is the Valle de la Luna (Valley of the Moon), nestled in the Cordillera de la Sal (Salt Mountains), 13 km. West of the town. This place is also part of the Reserva Nacional Los Flamencos, which houses many of the tourist attractions of Northern Chile. The desert landscape, shaped by millenia of fluvial and wind erosion, gives the environment a great similarity to a moonscape. In 1982 Valley of the Moon was declared a Nature Sanctuary. During the journey you can admire the "Salt Caverns", the famous natural formation called "Tres Marias" and the "Duna Mayor," a mountain of sand from where you can enjoy a spectacular panoramic view of the entire environment, also much appreciated to watch the sunset. 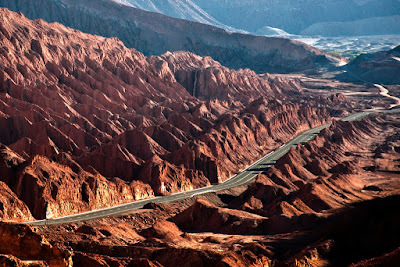 Next to the Valle de la Luna is located another impressive geological valley, of great tourist interest, the Valle de la Muerte (Death Valley). Its name is due to the fact that in the past, who dared to cross this valley died in the attempt. The Cordillera de la Sal (Salt Mountain Range) is another postcard of the "Norte Grande" (Chilean Big or Far North). Its peculiar name comes from the fact that its rocks have a large quantity of calcium sulfate, giving them the appearance of being sprinkled with salt. Formed millioms years ago from an ancient lake, whose bed raised due to the movements from the coastline that gave rise to the Andes. The "Aldea de Tulor" (Tulor archaeological site) discovered by Father Gustavo Le Paige in 1956 is one of the oldest human settlements in Northern Chile whose origin, according to scientific research dates back to around 380 BC. However most of the buildings discovered are from around the years 800 to 1200 AD. Nowadays Tulor is an archaeological museum consisting of original ruins and replicas, located 10 km away from San Pedro de Atacama. Overlooking the valley of Rio San Pedro, just 3 km. from San Pedro de Atacama and on the hill of Quitor are located the ruins of Pukara de Quitor, a pre- Inca fortress dating from the twelfth century, built in stone by the Atacameño people to defend themselves from other natives that inhabited South America. Another attraction near San Pedro de Atacama is Laguna Cejar, (Cejar Lagoon), 28 km. away. All local agencies offer trips but mountain bike rides are also very common. The lagoon is famous for its emerald waters and high concentration of salt, more than the Dead Sea, so you don't have to worry if you don't know how to swim, once you enter the water, anyway you'll float. But keep in mind that these are not thermal waters and the temperature will depend on the time of the year you visit the place. ALMA Radio Telescope, located at 5,000 mts. altitude on the Chajnator plateau, it is the largest astronomical facility in the World, a 66 antennas array that takes advantage of the altitude and clarity of the sky. It is an international partnership between scientific institutions of Europe, the US and Japan in cooperation with the Republic of Chile. For security reasons and the altitude where the facilities are located, public visits are not allowed to this place, however people who want to visit and get to know the ALMA Operations Support Facility (OSF) (camp where the personnel works at the control room, laboratories, maintenance of antennas, and the antenna transporter) can fill and submit the Request Form. The OSF is located 50 km. from San Pedro de Atacama. Called Rapa Nui or Te Pito O Te Henua (the "Navel of the World") in native language. Situated in the Polynesia, South Pacific, more than 3,600 kilometers from the mainland coast of Chile, it is considered one of the most remote areas of the World. For this reason, for its enigmatic stone sculptures known as Moai and the mysterious legends and traditions of its ancient culture, Easter Island is one of the tourist places of Chile that most generates attraction and curiosity. 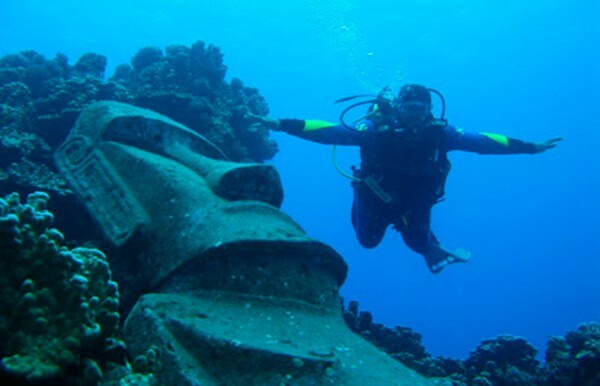 It is said that the Moai are like a small army of stone statues scattered throughout the island. On the other hand, there is no shortage of beautiful and cozy places that captivate visitors. 43 per cent of the total area of 163.6 km2. is occupied by the Rapa Nui National Park, administered by CONAF (National Forest Corporation). The total number of inhabitants is a little more than 5,000, mainly concentrated in Hanga Roa, only town and capital of Easter Island. The volcanic origin of Rapa Nui constituted the ideal quarry so that its ancient inhabitants built the almost 900 Moai, gigantic and mysterious stone statues, the most important art expression of Rapa Nui, distributed throughout the island. The average height of the Moai is about 4.5 meters, but the biggest of them, which could not be completed, measures 21.65 meters weighing over 200 tons. Each tribe had its Ahu ("altar" in native language) a kind of platform on which the Moai were installed, back to the sea and looking towards the village, as the statues represented the ancestors, who watched over the inhabitants. The only Moai facing the sea are at Ahu Akivi, a seven statues sacred place, which according to the story told locally, represent the 7 scouts who first went to the island and waited for the King Hotu Matua and his family to arrive. The Rapa Nui mythology says that ancient Maori sages had predicted that the land of Hiva (in Marquesas Islands) would sink. That was how the god Make-Make appeared in a dream to the sage Hau-Maka in order that King Hotu Matua knew that his destiny was to travel from Hiva to Rapa Nui and settle there. In the area of Hanga Roa, the capital, is located Ahu Tahai, a ceremonial complex that actually consists of three Ahu: Ahu Vai Uri, Ahu Tahai and Ahu Ko Te Riku with a total of seven moais, one of which has eyes made of inlays of white coral. Just 2 kilometers away from the quarry of Rano Raraku, is situated Ahu Tongariki, a 220 mts. long platform, the largest ceremonial altar across the island. This Ahu consists of fifteen large Moai, perfectly aligned back to the sea, the tallest of them with a height of fourteen meters. 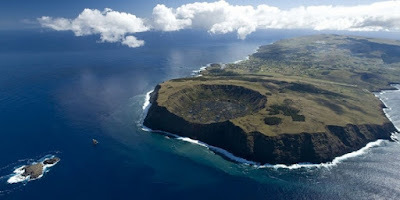 The place had to be restored after a tsunami that devastated the coast of Rapa Nui in 1960, for which it received the support of UNESCO and the government of Japan. Te Pito O Te Henua, is a large round stone representing "The Navel of the World" for the former inhabitants of Rapa Nui, it is also the name given by these Pacific Islanders to their land. The legend (or reality?...) relates this stone to the arrival of King Hotu Matua to Rapa Nui from Hiva, and it is also famous for having an energy that makes the compasses can not find the North, its origin would be in a meteorite. The islanders, aware of this special power, often recharge their personal energy with it, many visitors do the same ritual too. Orongo village and ceremonial center, located at the summit of Rano Kau Volcano. It consists of 53 semisubterranean houses made of flagstone and sod roof, elliptical and very fragile, which were restored in the '70s by the American archaeologist William Mulloy. Here took place every year the ceremony of Tangata Manu or Birdman cult, this village being center of the ceremony for some 200 years, until 1887. The ritual was in response to social conflicts that already existed in the Rapa Nui culture. The village was built by the end of the XVI century, but apparently its ceremonial use became important in later centuries. There are also rocks with petroglyphs that symbolize the Make Make, the great divinity of the Rapa Nui culture, the Tangata Manu or Birdman, and the fertility. Rano Kau Volcano, located on the South West end of Easter Island (see photo above). This extinct volcano of an age of approximately 2.5 million years impresses with its dimensions, especially its crater of 1600 meters diameter. On one side of the crater is the ceremonial village of Orongo. Rano Raraku Volcano, from its stone walls were cut and sculpted the Moai that are found throughout Easter Island, so this one of the must-see places in Rapa Nui. Inside there is a freshwater lagoon where ancentral sports are still practiced. Ahu Akahanga, is a 18 meters long ceremonial platform, located on the South Eastern coast of Rapa Nui. This Ahu has not been restored and shows the state in which the island was when the first European explorers arrived. According to the locals, this is the site where took place the battle on which King Hotu Matua was defeated and his remains should be somewhere on this place. Ahu Te Pito Kura, it consists of the Moai called Paro, of spectacular dimensions as its height is 11 meters, its ears are 2 meters long, weighing approximately 70 tonnes. It has remained intact in the position where it was when it was probably knocked down by tribal battles or by Europeans. At one side lies its large "Pukao", hat of almost 2 meters high and about 10 tons of weight. Abotut forty meters away is located Te Pito O Te Henua Stone ("The Navel of the World"), of which is said that Hotu Matua ever brought to the island from Hiva. Ahu Vinapu, one of the most amazing of Easter Island, for the possible relationship with the constructions of the Inca culture. Currently it consists of two Ahu, but originally were three. Vinapu I stands out for being a wall built with a perfect technique to fit the stones together, which is often compared with the walls of Machu Picchu in Peru. Originally there were 6 Moai on the platform but today are scattered around. Vinapu II, here you can see what is believed to be a woman Moai, it is one of the few female Moai that have been discovered in Easter Island. Of the Ahu Vinapu III, probably the oldest, there is only a pile of stones. The site is located on the South coast of Rapa Nui. With regard to natural landscapes, it can be said that Southern Chile is a true paradise. Nothing like visiting and enjoying its beautiful places made up of thick vegetation, snow-capped mountains, crystal clear waters, fresh air and smell of wet earth. I would like to emphasise that by saying "South of Chile", one always refers not to the southernmost part of the country but to the regions formed by "Bio Bio Region" down to the northern part of "Los Lagos Region". Farther to the South lies Patagonia, Chilean side. 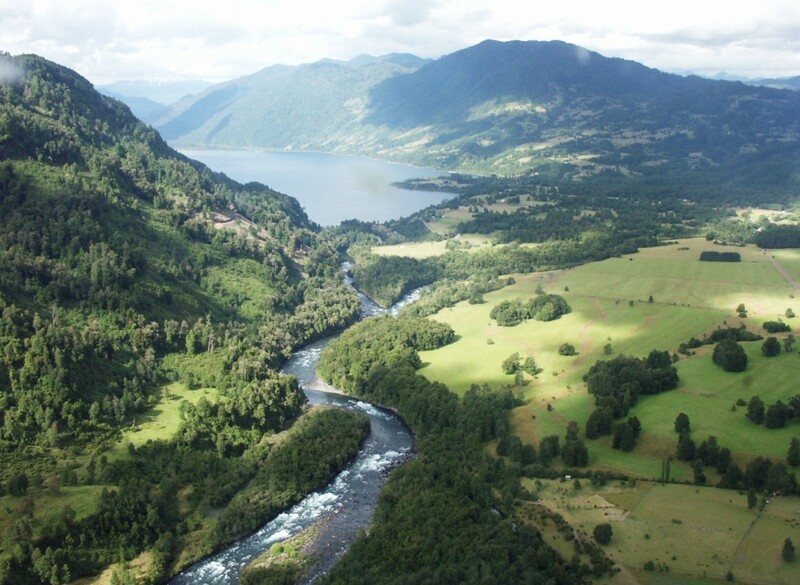 As we move towards the south of Chile, the landscape changes significantly since the heights of the Andes and the Cordillera de la Costa decrease, increasing the presence of forests, rivers, lakes and volcanoes. Throughout Southern Chile you'll find lovely places. 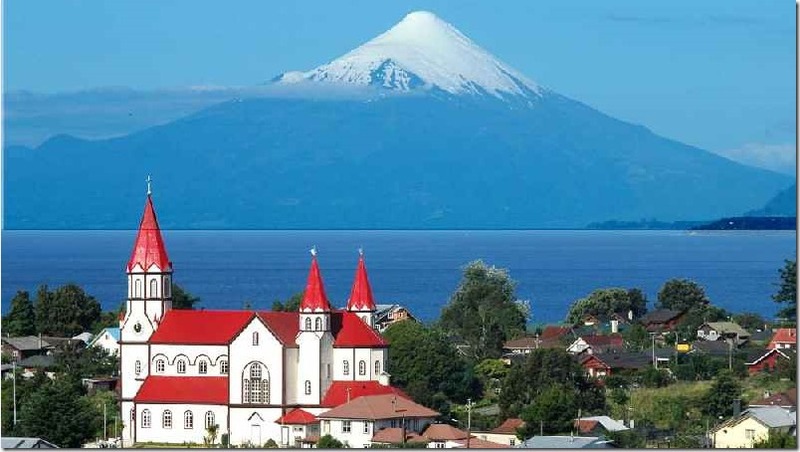 One of the major cities, with arrival of flights, buses and railroad terminal in the past is Puerto Montt, a city of 220,000 inhabitants, on the shores of Reloncaví Sound. Puerto Montt is the starting point of many tourist circuits that travel Southern Chile and Patagonia. One of them is taking the Carretera Austral (CH-7), which starts in Puerto Montt and ends in Puerto Yungay, in the Patagonian Region of Aysen. This road was begun in 1979, and even nowadays continues its construction and constant maintenance. Through it, and making the necessary transshipment of barges, the visitor enters a world of incomparable and breathtaking beauty. Currently, the Carretera Austral is considered worldwide as one of the best scenic routes to travel. South of Puerto Montt, is the Archipielago de Chiloe, famous for its palafitos (houses on stilts), customs and traditions as well as the Province of Palena, sparsely populated area which by climate and geography is part of Patagonia. Another famous natural destination in the South of Chile is Huilo Huilo Biological Reserve, a 100,000 hectares nature sanctuary located in Panguipulli, Region de los Rios (Region of Rivers). Declared Biosphere Reserve by UNESCO in 2007, and among other international recognitions in 2012 it became the best sustainable tourism destination worldwide, winning first place of "Virgin Holidays Responsible Tourism Awards", competing with 1600 other destinations around the globe and in 2015 Huilo Huilo was highlighted by National Geographic Society with the "World Legacy Award" for its contribution to the protection and recovery of nature. There are countless tourist sites in Southern Chile that can be highlighted, to mention just a few of them: Puerto Varas, near Puerto Montt, created from the colonization of German immigrants, one of the iconic tourist towns of this part of Chile; Frutillar, lakeside town also founded by German immigrants, on the Western shore of Lago Llanquihue; Peulla, another small lake port on the Eastern shore of Lago Todos los Santos in the commune of Puerto Varas, very close to the border with Argentina; Petrohue, the main town within Vicente Perez Rosales National Park, located on the western shore of Lago Todos los Santos, Petrohué River is also one of the most attractive spots for sport fishing in the South of Chile; the beutiful city of Valdivia and surroundings, also called "La Ciudad de los Rios" (The city of Rivers) and also "The Beer Capital of Chile", of a great scenic beauty and a strong German influence, which today has become a must-see tourist landmark; the city of Temuco, capital of the Region of Araucania, privileged as to the beautiful landscapes that surround it and the easy access to the coastal, lakes and mountainous attractions. Another amazing place and one of the best tourist destinations in Chile to vacation is Pucon, a renowned international tourist center on the shores of Lago Villarrica. Besides, there is Pucon Ski Center, 20 minutes from the city, nestled on the slopes of Volcan Villarrica, one of the most beautiful places in the country. And if it comes to Winter sports, there is also Corralco Ski Center in the IX Region of Araucania, nestled in the splendid scenery of Malalcahuello National Reserve, on the slope of the Lonquimay Volcano, this center opened in 2013 a modern Five Star Hotel. The ski resort has also snowmobile excursions, trekking, mountain biking and recreational fishing. I can not fail to mention Licanray, a small active resort located on the northern shore of Calafquén Lake, 27 km. Villarica and 114 km from Temuco, the regional capital. With a coastline of 6,435 km. in lenght, Chile is the longest country in the world. There is a variety of climates that covers almost the entire spectrum, except tropical. That is, the temperature of water ranges from temperate in the extreme North to very cold in the South, especially considering that the coast is cooled by the Humboldt Current, coming from very deep waters of Central Chile. In spite of that, along its more than 6,000 km. of coastline, Chile has beautiful beaches to enjoy or for surfing and other watersports. Here is a list of the main beaches of Chile. 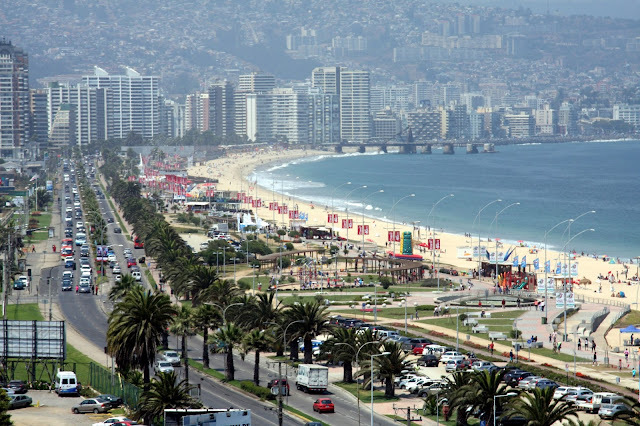 The beaches of Vina del Mar are very beautiful, and although its waters are not as temperate as those of the North end of the country, for its location are among the most crowded of Chile. 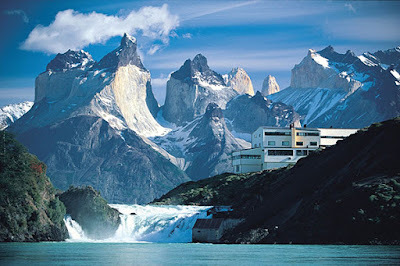 They are very frequented by national and foreign tourists, especially a large number of Argentines. The most outstanding beaches of Vina del Mar are: Playa Reñaca, located in a tourist and residential district, being visited by many young people, foreigners and celebrities. Playa Caleta Abarca, is a beach to go with your family, one of the most central beaches in the city of Vina del Mar, with beautiful buildings and parks around. Playa Acapulco, so called after the famous Mexican resort, surrounded by tall buildings, located parallel to Avenida San Martin, in a central location of the city. It is highly recommended to go in the morning, because at that time the attendance is much lower. Playa El Sol, another of the main tourist attractions of Viña del Mar, beside the old pier "Muelle Vergara" in San Martin Avenue. Besides the beach for tourists to enjoy the sun, typical beach games and the view, there are entertainments for younger kids along with craft and book stalls, giving the environment a cultural touch. Playa Los Marineros, in the area of Las Salinas, between Muelle Vergara and Punta Ossa. The name of this beach is in honor of the Chilean Navy, with facilities a few meters away. Due to its long extension, Playa Los Marineros is perfect for swimming long stretches, however, it is compulsory for swimmers to do it in areas near the sand, as out at sea, waters become too dangerous. Privileged by its environment and climate, it is one of the main tourist attractions in Iquique, northern Chile. Charming for its warm waters, gentle waves for swimming and white sand for sunbathing, facing a waterfront full of life, characterized by its tropical palms, parks, recreational areas and dining venues. Small beach located in Rapa Nui, one of the most visited sites by those who choose to go to Easter Island, even so, with a low turnout of bathers. Seascape impossible to find elsewhere: Palm trees, fine white sand, warm waters and, above all, the seven Moai that make it a unique beach in the world. Anakena beach has the most Polynesian view of Easter Island. Arica is the northernmost city of Chile, because of its mild climate it is often called "The city of the Eternal Spring". Among its most popular beaches are Lisera and Laucho. La Lisera is semicircular in shape, 150 meters long, no big waves and suitable for swimming and diving sports. It has dressing rooms, services, gardens, parking lots, sale of beverages and children's games. Since the sixties it has an environment of beautiful gardens and the best sand, it also was the first beach to have coconut palms. For its part, El Laucho is a beach suitable for swimming, although there rocky outcrops around. It is protected from the wind, and has a very gentle waves, with mild temperatures and white sands. It has resting places, restaurants, pubs and nightclubs. It is equipped with bathrooms, showers, dressing rooms and lifeguard service. Bahia Inglesa is a small but renowned seaside resort, of white sand, quiet and warm waters, much visited in Summer months, so it has a wide range of accommodation, from 5 star hotels to cabins and camping sites. Located 880 km. North of Santiago and 60 kilometers from the city of Copiapo, it has three beautiful beaches known as "Las Piscinas" (The Swimming Pools), ideal for children as these are very quiet and suitable for swimming and sports. Small beach located in Atacama Region, 70 km. from Copiapo, the regional capital. Of turquoise-blue waters, small waves, white, fine and clean sand, making it one of the most attractive beaches of northern Chile, for its resemblance to the Caribbean waters. Playa la Virgen Resort is focused on Ecotourism, so the main idea is to keep nature intact, therefore, the facilities were designed with mud, reeds, wood and stone to avoid altering the environment and to maintain the natural landscape, surrounded by the Atacama Desert, with little human intervention. Playa Amarilla is located in Concón, South of Aconcagua River, Region of Valparaiso, commonly known as Fifth Region. It is characterized by the tranquility of the waves as well as the visitors, perfect for children and families because, despite being next to Reñaca, the most popular beach of Viña del Mar, Playa Amarilla is not visited by Summer Teams and activities involving dance or noise.